Former Editor T. R. Hummer introduces “A Good Scent from a Strange Mountain” by Robert Olen Butler, from NER 13.3-4 (1991). The labor of editing—the hard work, even the drudgery—is easy to document. Fifty-plus submissions a day: the phrase speaks clearly for itself, but when placed in the context within which most literary journal editors work (most are part-time, and have too small, or no, staff), it becomes even more acute. 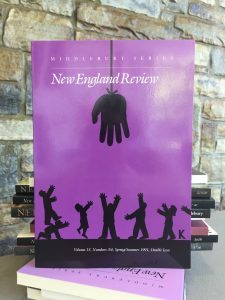 I edited journals for fifteen years; four of those years were at New England Review, and the labor hardly changed. Neither did what is far harder to quantify: the joy of it, which comes from the moment of discovery, a sort of gnosis whereby the editor knows she or he has been given a great gift. I could relate many instances of that joy, but for present purposes will limit myself to one. On a mid-week day in the middle of some season or other in the middle of my life (I was in my forties then) as I sat in the NER office opening yet another envelope, the telephone rang. That was unusual: phone calls were rare, and when they came, they were generally complaints of some kind, usually beginning with some version of I sent my manuscript two weeks ago and haven’t heard from you yet. I answered with some trepidation, then, but this call was different. I thought little of it, except to reflect on the unusualness of the circumstance. Writers didn’t call me to say they were sending something. Why would they? The envelopes arrived; that was mostly what we editors noticed. I replied with some version of “Yes, please do.” I don’t remember anything else about the conversation, but when the envelope arrived, containing two lengthy short stories, I remembered the author’s name from the phone call. I read the stories and liked them. Each centered on Vietnamese characters in the US, post-Vietnam-war. Both were well-crafted, and I could easily and happily have published either or both. But—and here the moment of gnosis began to reveal itself—something stirred far down in my medulla oblongata, and I did something rare for me: I picked up the telephone. A week later, another envelope arrived. I opened it right away, and read the first sentence of the story inside: “Ho Chi Minh came to me again last night, his hands covered in confectioner’s sugar.” That was all it took: the miracle of discovery arrived. 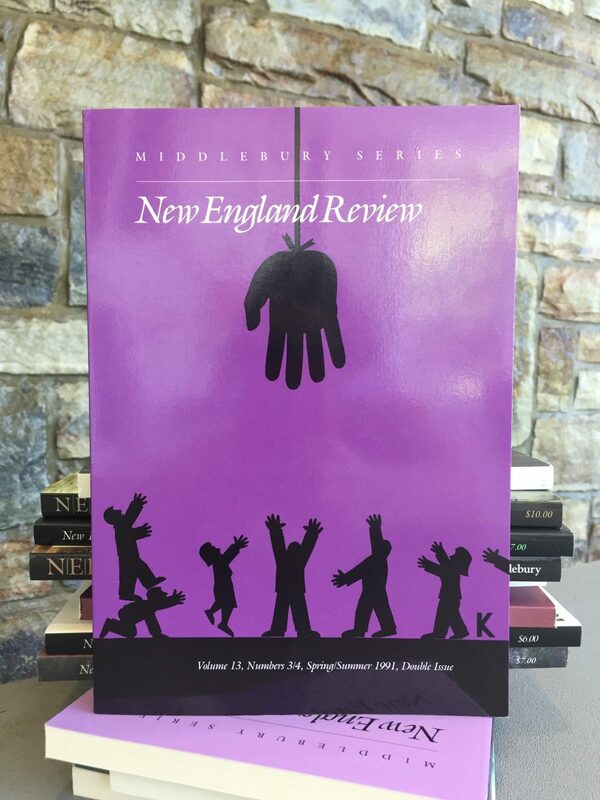 When, a year or so later, Robert Olen Butler won the Pulitzer Prize for A Good Scent from a Strange Mountain, I was gratified to have published the title story in New England Review. But really, what I retained was the discovery of that opening sentence, which I have effortlessly quoted from memory here over twenty-five years later. T. R. Hummer served as Guest Editor, Senior Editor, then Editor of New England Review from 1988 to 1995. 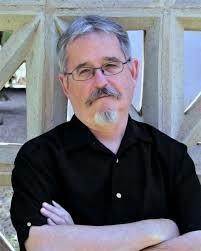 He has also worked as Editor for Kenyon Review and Georgia Review, and has published ten books of poetry. His most recent collections are After the Afterlife (2018) and the three linked volumes Ephemeron, Skandalon, and Eon (Louisiana State University Press). In addition to poetry, Hummer has published two books of criticism, The Muse in the Machine: Essays on Poetry and the Anatomy of the Body Politic (2006) and Available Surfaces (2012). With Bruce Weigl, he co-edited The Imagination of Glory: The Poetry of James Dickey (1984). A native of Mississippi and longtime devotee and practitioner of jazz, he now teaches creative writing at Arizona State University in Phoenix.